Starting on the 12th November, Century will be undergoing a transformation of epic proportions. Say goodbye to the nutty tones of our New York style Taproom, and hello to the sleek stylings of Brady Williams, as he transports you right back into the heart of Soho. A mix of Leather, marble, and copper, the new taproom will be THE best backdrop for your cocktail snapping Instagram addiction. But don’t just take our word for it; see for yourself at our launch party on the 24th November, where we’ll be showcasing our new menu (designed for the all-day diner) as well as some signature Century cocktails. The evening will be sponsored by Ketel One Vodka, so you can expect free flowing drinks, nibbles and entertainment throughout the night, click here to RSVP. 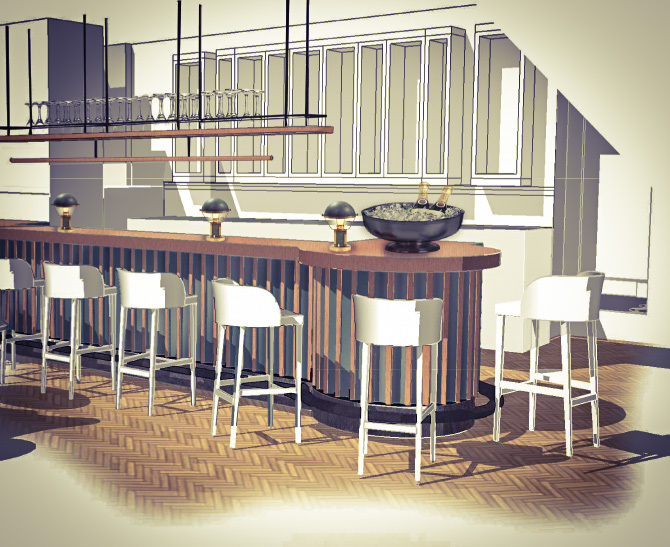 In the New Year, we’ll be taking our metamorphosis even further by replacing our signature roof terrace with a fully retractable glass-homage to the London skyline, providing you with the best drinks and views in the whole of Soho. This will then be connected directly to the new Club Room where you can sit and relax in the comfort of your home away from home. We’re doing our updates room by room so as not to disturb our guests, so whilst the transition may take a few months to complete, we’re guaranteeing minimum disturbance for our members.